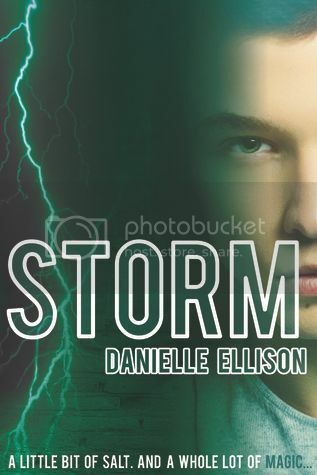 Welcome to The Cover Contessa's blog tour stop for Storm by Danielle Ellison! Let's hear from one of Danielle's characters! Take it away, Carter! Well, it would depend on a several factors. The size of the woodchuck. The density of the wood, the position of the woodchuck in relation to the wood. The velocity and acceleration of the woodchuck and the wood. You could figure it out with detailed information—not that I’ve thought about since woodchucks can’t chuck wood. What was the first thing you noticed about Penelope that caught your eye? Her determination. She was so into her task, trying to destroy that demon, and it was adorable. I immediately knew there was something about her. My dad—he’s the entire pet peeve because everything he does annoys me. What’s one thing you wish you could stop? The Triad and the way they handle demons, halflings and Statics. It shouldn’t be the way it is – we should all be treated equal. I wish I could stop their views, their decisions, and make them see a better way to exist. Demon hunting. It’s borderline obsession. Thanks so much for stopping by today, Carter. Great having you here! Definitely sounds like a great read. I do believe I will enjoy it!! Thanks for the heads up & the introduction to Danielle's writing!! !